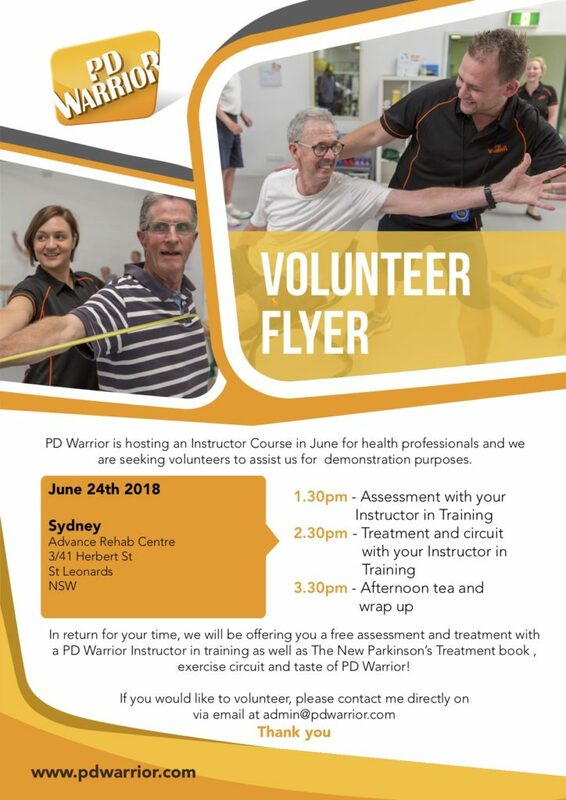 PD Warrior are hosting an instructor course for health professionals on 24 June 2018 in St Leonards, Sydney, and are seeking volunteers with Parkinson’s disease to assist them for demonstration purposes. 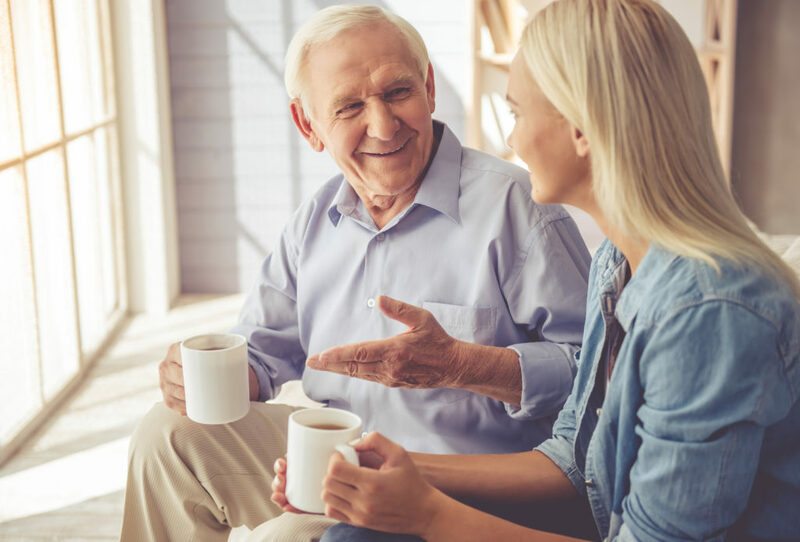 To thank their volunteers, PD Warrior are offering afternoon tea, a copy of The New Parkinson’s Treatment book, an assessment and treatment with an instructor in training, use of their exercise circuit and a taste of PD Warrior! They will also be operating another course on 16 September 2018. If you’d like more information, please contact admin@pdwarrior.com. 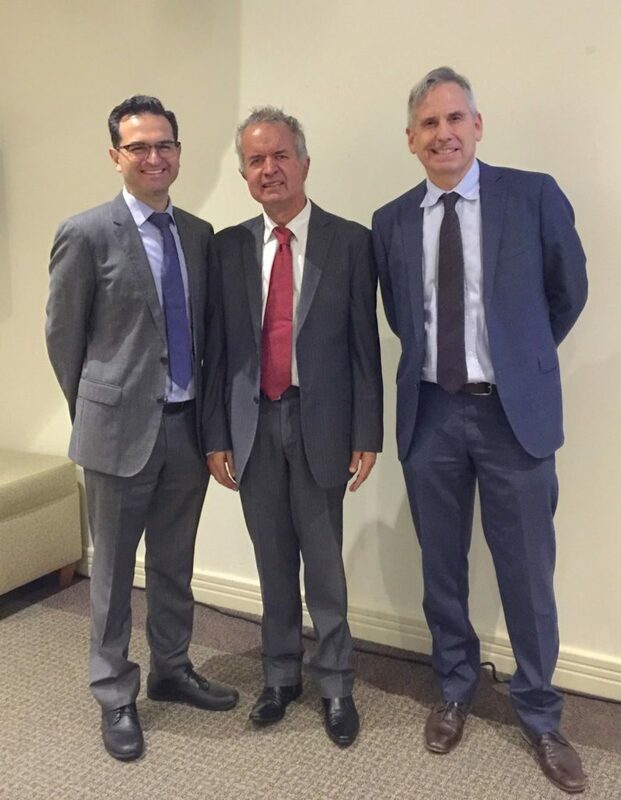 Sydney DBS Neurologist, Dr Paul Silberstein and Neurosurgeon, Dr Raymond Cook were course convenors for the Parkinson’s Disease & Deep Brain Stimulation seminar at North Shore Private Hospital on 15 May. 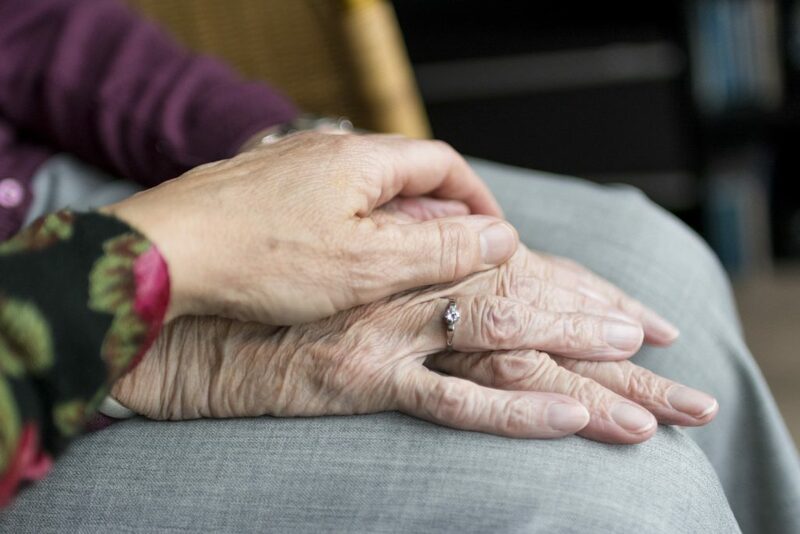 A packed room of attendees, including Neurologists, GPs, Allied Health professionals and Parkinson’s nurses, listened to presentations from Drs Silberstein & Cook who were also joined by a DBS Neurologist, a Neuropsychiatrist and a Rehabilitation Physician who specialises in Parkinson’s disease. 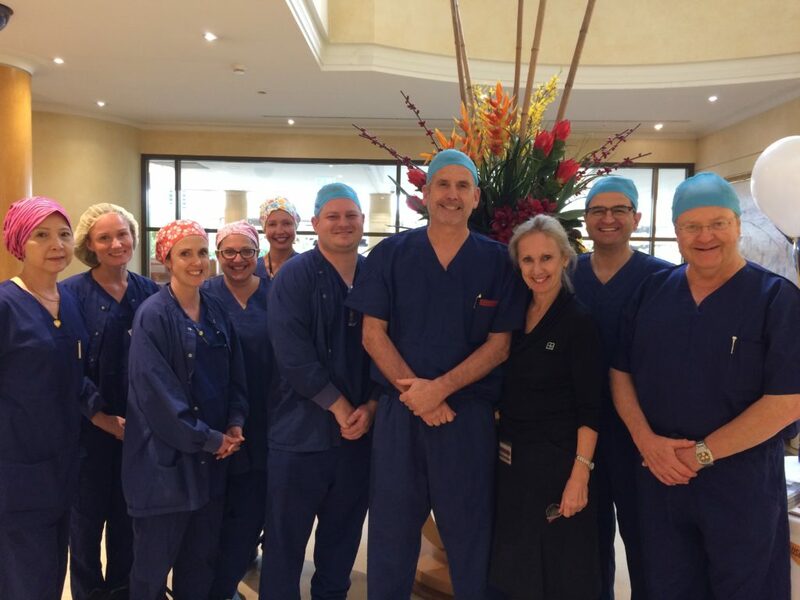 Topics of discussion included an introduction covering a PD overview, current indications for DBS and current clinical guidelines before presentations on the DBS surgical procedure and two seperate patient two case studies. 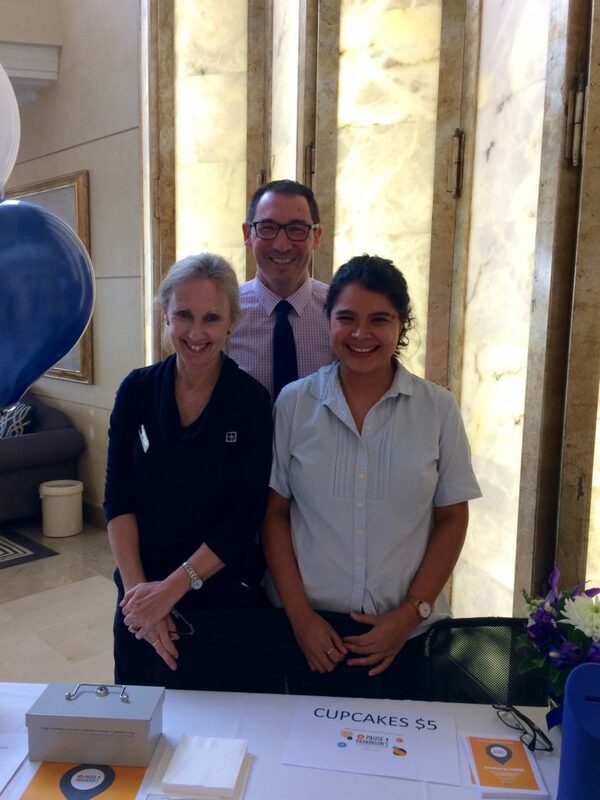 These case studies were supported by Dr Liang, Dr Shin and Dr Meagher’s expertise. 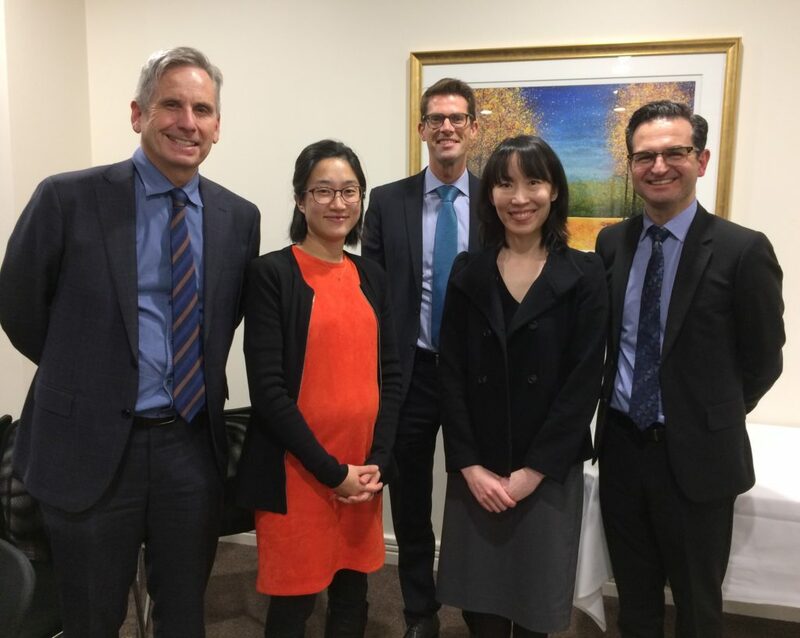 Pictured are presenters Neurosurgeon Dr Raymond Cook, Rehabilitation Physician Dr Hannah Shin, Neuropsychiatrist Dr Linton Meagher, Neurologist Dr Christina Liang and Neurologist Dr Paul Silberstein.